A small bottle of oil beside a pile of cloves. 4 Can You Use Coconut Oil for Acne? Acne sufferers often face a difficult situation because acne-fighting products may contain harsh chemicals and inorganic compounds. Clove oil is naturally extracted from cloves and has also shown some promise as a pimple fighter. However, there are risks associated with its use. Consult your doctor or dermatologist before adopting a new skin regimen, including the use of clove and other essential oils. The American Academy of Dermatology identifies three major factors that contribute to pimples. 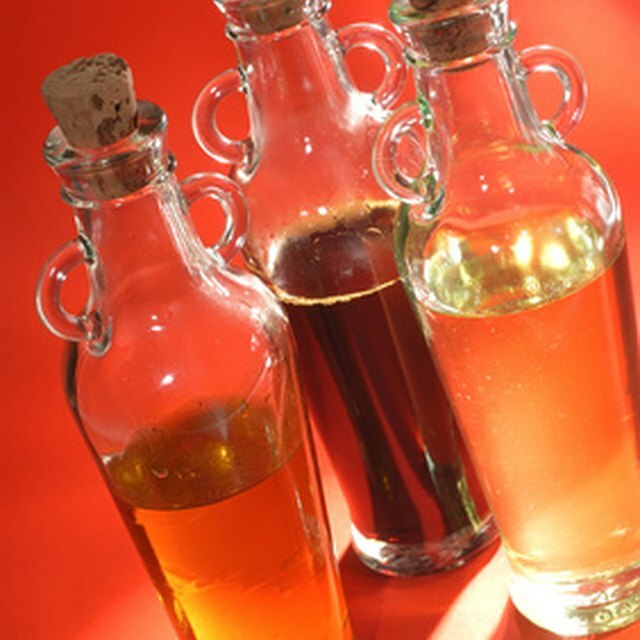 First, your skin produces an excess of oil. Meanwhile, your skin sheds its cells, blocking the hair follicles. This can cause a bacterial infection, which often creates swelling: red bumps, commonly known as pimples. To properly treat acne, you need to address all three causes: reduce oil production, cleanse your skin of extra cells and fight bacterial infections. You might think it's strange to apply oil to your oily skin, but some experts claim clove oil's benefits are worth it. 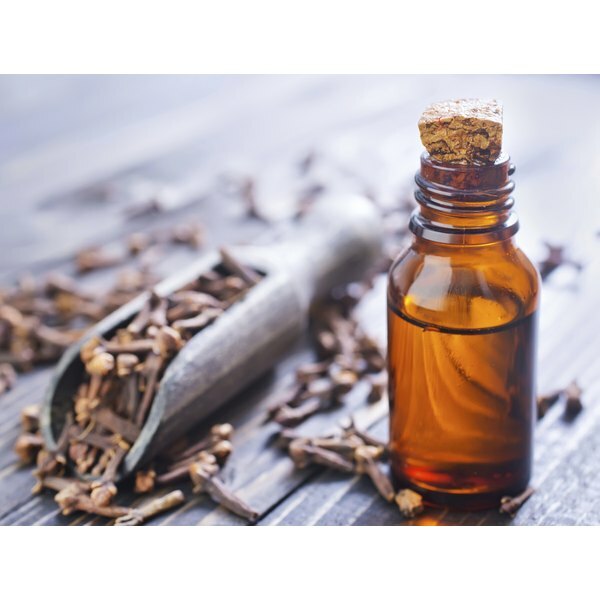 Clove oil contains a substance called eugenol, which has antibacterial properties. In 2001, "Girls Life" investigated the claim that clove oil can clear cystic acne, reducing swelling as it kills infection. Dr. Henry Gasiorowski told "Girls Life" that some of his patients had used clove oil. "Theoretically, it may work," he said. In 2009, a group of Chinese scientists tested clove oil against Propionibacterium acnes, the major acne-causing skin bacterium. They found that clove oil had a significant effect, damaging bacteria and potentially limiting its growth. However, a British study conducted in 2006 found that clove oil damages more than just bacteria. Even in very low concentrations, clove oil damaged human skin cells as well. The majority of the damage was due to eugenol, the same substance that attacks acne-causing bacteria. Clove oil has a pleasant smell but is very potent. The National Institutes of Health warn that it can damage your skin and mucous membranes. Although it "seems to be safe," there is not enough research to be certain about clove oil's potential danger. It's advisable to stay away from pure clove oil, using products that contain much less than 1 percent eugenol. The 2006 study of clove oil's toxicity found that a concentration of 0.03 percent can still damage your skin. While clove oil's safety is still undetermined, it does show promise in fighting bacteria. The 2009 study of its antibacterial properties recommends further research, stating that it may have future use as a therapeutic agent for acne. However, until eugenol has been researched more completely, clove oil is probably an inadequate treatment for your pimples. As Dr. Gasiorowski told "Girls Life," "Overall? I think there are better treatment options." Girls' Life: What Really Works!